To provide awareness for educators on the iPad’s accessibility capabilities. To develop an understanding of why using Augmentative Communication is essential to the learner who has communication and speech issues. To provide educational strategies using the iPad in order to creative a productive learning using a variety of iPad apps. To have awareness of the various apps that can be used to assist students in general. Technology has developed into playing a huge role in assisting individuals with communication needs, allowing for tremendous advancements and growth of those individuals that without Alternative and Augmentative Communication technology would not otherwise be able to communicate their thoughts, ideas, feelings, wants and needs. Augmentative and Alternative Communication (AAC) is the term that encompasses the tools and methodology used to support or replace communication for individuals that have speech or communication impairments. With the invention of the iPad and augmentative communication apps, the ability to connect those who have communication problems is now more available and more affordable. Before the iPad some of the traditional devices could range from $3,000-$15,000, but now using the iPad and cost effective apps means that individuals have greater access at home and also at school. 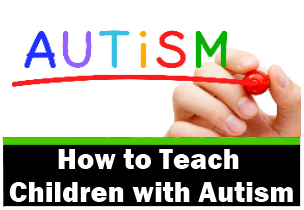 This puts communication more readily in the hands of a child who needs it, which helps to bridge the gaps that previously hindered their learning. Some of the apps can also be used to create visual schedules and social stories so it is important to consider what you student needs when choosing an AAC app. This course demonstrates the most important accessibility options available on the iPad and some of the AAC apps available, and how they can make a significant difference in the classroom for learners who need social and communication support due to speech or communication impairments. To take Turn Your iPad Into an Augmentative Communication Device and earn Continuing Education Unit (1) please visit the course page with University of North Dakota. 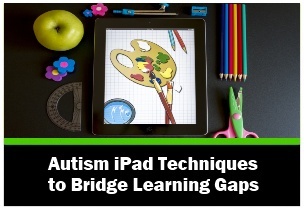 There are three parts to this course series by iPads for Autism Education expert Karina Barley . To provide training and educational strategies using the iPad in order to creative a productive learning using a variety of iPad apps. To develop knowledge about the iPad’s accessibility options and capabilities and learning how to use them. To learn why using augmentative communication within the classroom will assist students who are affected by communication or speech issues. To be aware of the types of apps that are available and how they can be individualized for each student. To learn about using various apps to assist students who have specific learning needs. Accessibility options – how to navigate and understand the accessibility options on the iPad. What apps are available and why you should use apps as well as the accessibility options? How to use apps for communication and learning. Identifying apps that are specific for autism. Using technology to make a difference to the student with special needs. What accessibility options are available on the iPad? How do the accessibility options work? How do you set up the iPad to suit your student? Lesson Two – What apps are available and why you should use apps as well as the accessibility options? Why are the accessibility options so valuable in bridging the learning gaps for students with differentiated needs? 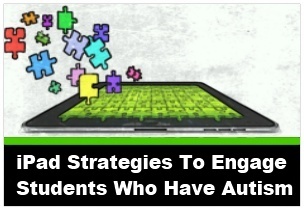 Strategies for using the iPad accessibility options for students with special needs. What apps can be used to assist students who have special needs? 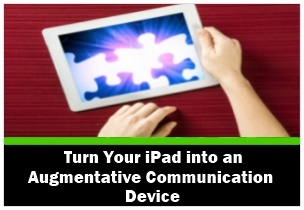 What are the best alternative and augmentative communication apps available? 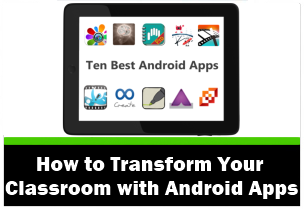 Putting the apps into action in the classroom or learning environment. What are some other ways you can use the iPad to assist students with special needs? 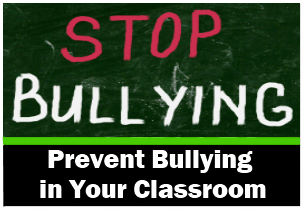 Using QR codes, apps that use photos, audio, audio-visual, screen casting and apps that are educationally motivating. Creating an inclusive classroom using technology such as the iPad. Differentiating learning made easy with technology. Collaborating and communicating with parents using the iPad – the link between school and home.